The Vail Nature Center is a 7-acre facility with outdoor educational programs for kids. 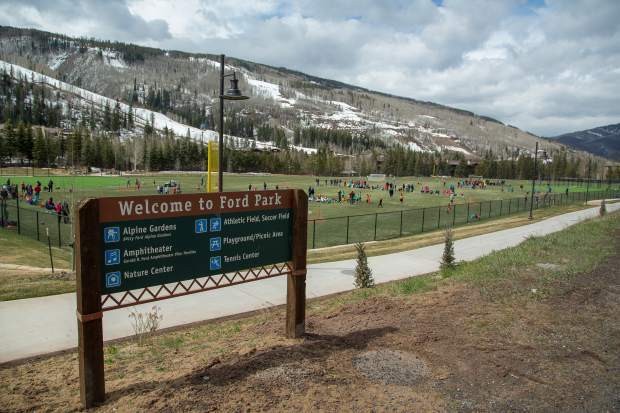 Vail's Ford Park is a short walk from Vail Village and features athletic fields, playgrounds and more for kids. 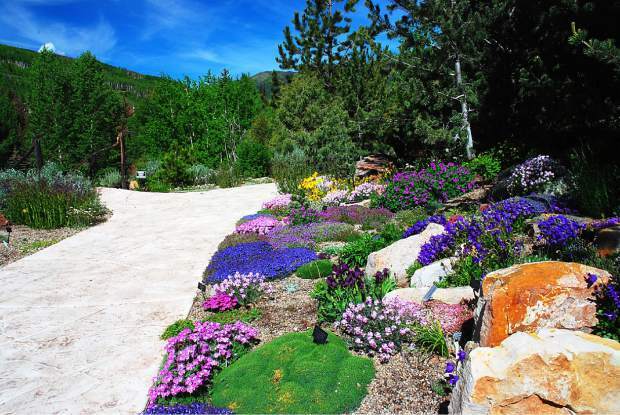 The Betty Ford Alpine Gardens have over 3,000 species across 5 acres in Vail's Ford Park, including an Education Center and Alpine House, and activities for all ages. The Colorado Ski & Snowboard Museum, located in the Vail Village parking structure, recently underwent a remodel and features exhibits chronicaling the ski industry's rich history in Colorado. Donovan Park and Pavilion is located in West Vail near the bike path and features an area for kids to play, picnic tables, a public grill and more. Fuzziwig's Candy Factory is appropriately located in Vail Village next to the Children's Fountain. Pirate Ship Park is steps away from Gondola One in Vail Village. 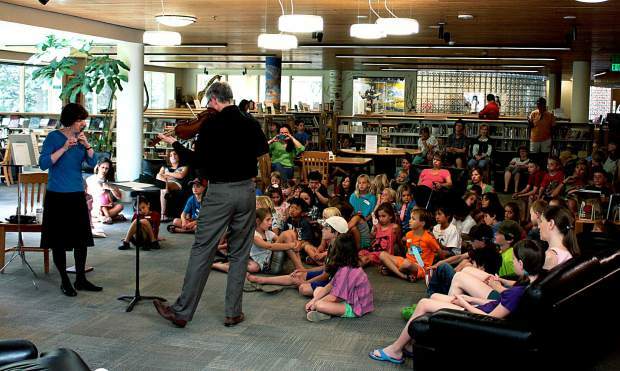 The Vail Public Library offers programs and activities for children throughout the year. The Zeke M. Pierce Skatepark is free to shred and is located inside the Lionshead parking structure. 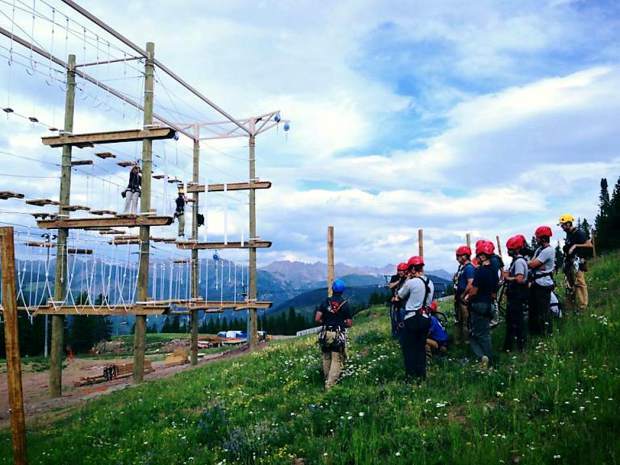 Adventure Ridge atop Vail Mountain features a ropes course, zipline, alpine coaster and more. 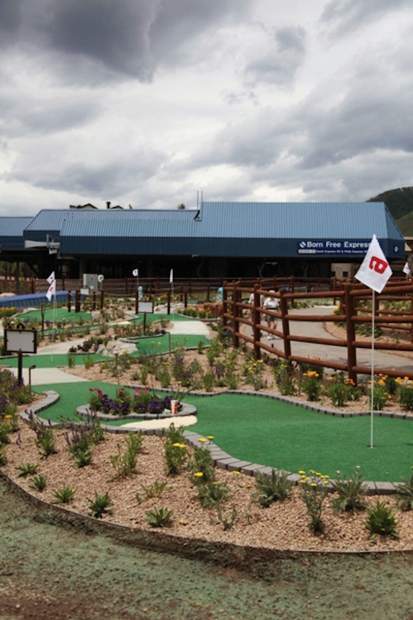 Gore Creek Mini Golf features an animal theme and is a nine-hole course. The Vail Farmers' Market & Art Show has lots of free samples and booths to explore, as well as fun lunch options. Vail Stables leads horseback rides for kids ages 8 and older through the Rocky Mountains. Ice skating is a popular winter activity for kids, but some local rinks offer ice skating year-round. 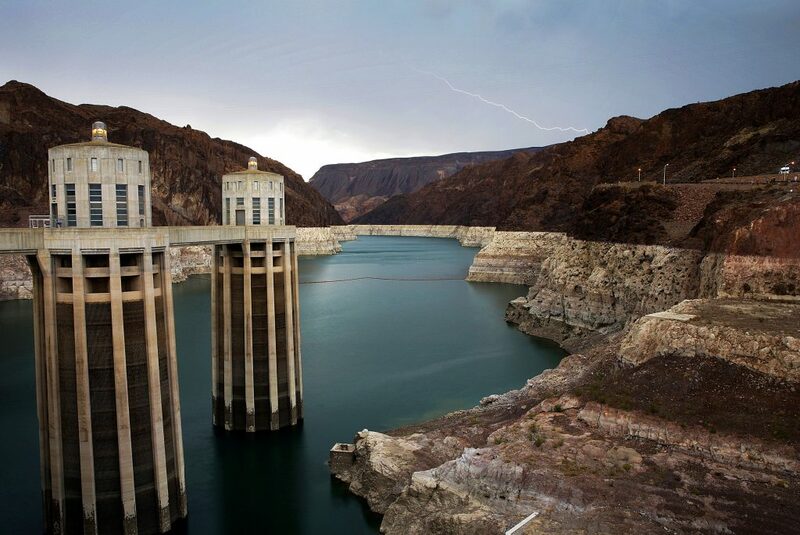 While the Rocky Mountains are an adult’s playground in and of itself, there’s plenty to do, and see, around Vail for kids. From local parks and playgrounds to mini golf and ice skating, here’s 15 places and ways to entertain children while in Vail. Located in Vail along the South Frontage Road, Ford Park is full of playgrounds, nature, parks as well as fun and games. It is the largest of Vail’s two multiuse community parks (Donovan Park is the other). The park includes a custom playground with slides, climbing features and swings. The park’s athletic fields, tennis center, half-court basketball area and public restrooms make it a prime location to play outside. There’s plenty of parking, and Ford Park also contains the Betty Ford Alpine Gardens and Gerald R. Ford Amphitheater. 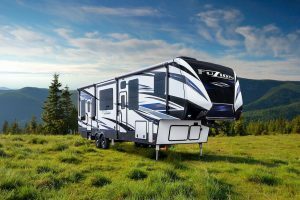 Location: Ford Park is located along South Frontage Road in Vail, a short walk east from Vail Village. Boasted as the world’s highest elevation alpine gardens, Vail’s alpine gardens were heavily influenced by formed President Gerald Ford and his wife, Betty. Open year-round from dawn to dusk, the gardens offers leisurely strolls as well as other educational events, including Yoga in the Gardens, family guided activities, Garden Nature Photography and more. The Betty Ford Alpine Gardens has an Education Center and attracts more than 100,000 visitors each year. Location: The gardens are located a short walk east of Vail Village, in Ford Park. More information: Visit http://www.betty fordalpinegardens.org. Cost: Betty Ford Alpine Gardens events are usually free, with a small suggested donation to help the organization’s daily operations. 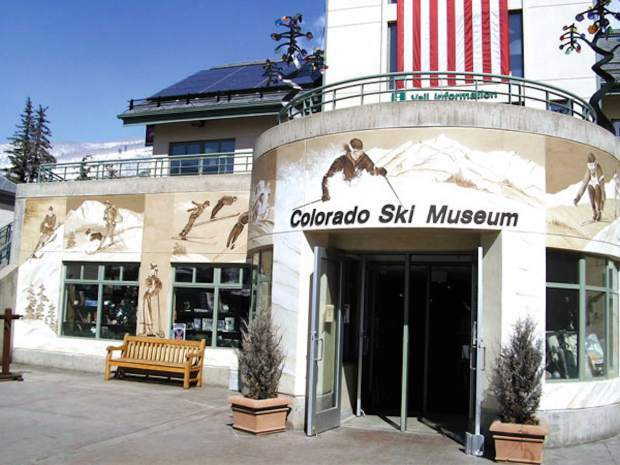 The Colorado Ski & Snowboard Museum, located in Vail Village’s parking structure and recently remodeled, preserves and interprets the history of skiing and snowboarding. Exhibits cover the 10th Mountain Division, 100 Years of Ski Fashion and Function, Colorado ski resorts and Vail’s DNA, among other hands-on things to interact with. Collections include digital photos, vintage ski tickets and more. Location: Inside the Vail Village parking structure. More information: Visit http://www.ski musuem.net. Cost: Entrance is free, with a suggested $5 donation per adult to help the privately funded, nonprofit museum. Conveniently located in West Vail near the bike path, Donovan Park is one of Vail’s two large community parks (Ford Park being the other) and features a large playground with swings, slides and climbing features. The park also features benches, a covered awning, picnic tables and a public grill. Athletic fields, a basketball court, public restroom and water fountain also make Donovan Park a great place for kids and families. Ample parking is available, and the park is also located along the bus route. Location: 1600 South Frontage Road W., Vail. 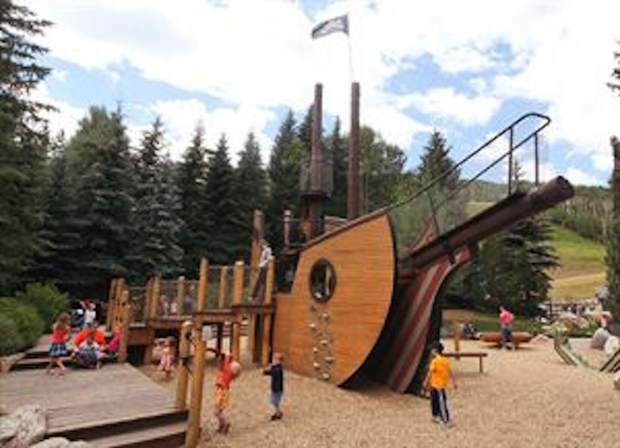 Located steps away from the gondola in Vail Village is Pirate Ship Park, a slopeside make-believe wonderland featuring three deck levels, multiple climbing nets, slides and more. The park also has two toddler-sized swings located in the shade, but the focal point of the park is the pirate ship itself. Location: Vail Village, slopeside next to Gondola One. In addition to books and online tools, the Vail Public Library offers programs for people of all ages. Regular programs include story time for babies, preschoolers and toddlers; robotics club; technology studio; homework help; art at the library; and more. Location: Across from the Dobson Ice Arena in Vail, with the Lionshead Village parking structure nearby. More information: Visit http://www.vail library.com. The Imagination Station is a thoughtful play space featuring experimental activities, a play wall, art studio, hyperbolic funnel that models the planetary motion and a health clinic promoting imaginative play where children can provide care for dogs, cats and babies. 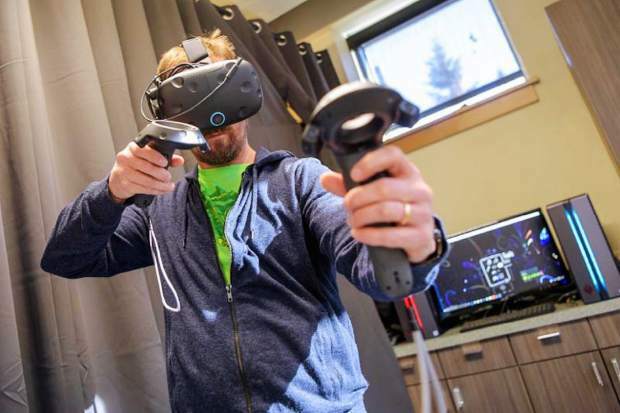 There’s also two virtual reality rooms, dedicated to active play where you can slice fruit with ninja swords, bow without getting hit and many other options. Location: 395 E. Lionshead Circle, Vail; above the Welcome Center in the Lionshead Village parking structure. Cost: Adults and children 2 and younger are admitted free; children cost $7 per day, $20 per week, $40 per month or $60 per year. 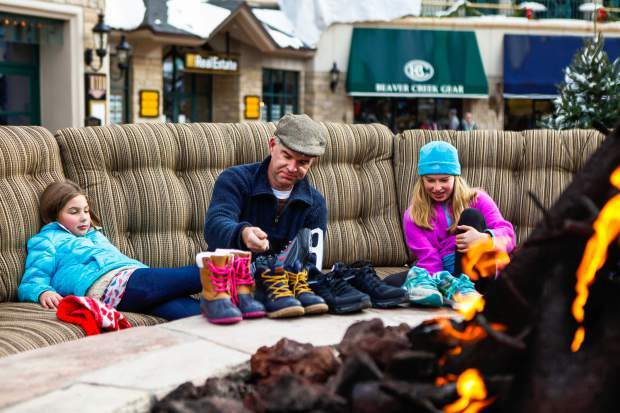 Family costs are $60 per month or $100 per year, with discounts for Vail Rec District members. During the summers, Vail’s Epic Discovery at Adventure Ridge atop Vail Mountain includes zip lines, a mountain coaster, tubing hills, a climbing wall, bungee trampoline and more for kids. In the winter, activities shift to snow adventures. 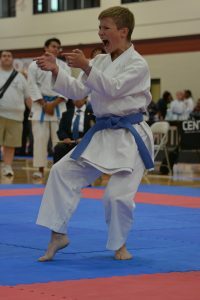 A variety of passes are available, starting at $39. Location: Adventure Ridge is located atop the gondola in Lionshead Village. Cost: Passes start at $39. Take in the sights and sounds of summer while channeling your inner Happy Gilmore at the Gore Creek Mini Golf course, located in Lionshead Village next to the Eagle Bahn Gondola. The nine-hole par-three course features an animal theme and is surrounded by dining and shopping options. Beaver Creek also has a mini-golf course slopeside. Location: Lionshead Village, slopeside next to the Eagle Bahn Gondola. A product of Walking Mountains Science Center, the Vail Nature Center is a 7-acre facility in the heart of Vail with a web of trails along Gore Creek and a center featuring exhibits and knowledgeable staff. Programs include hiking, birding tours, beaver pond tours, wildflower viewing, stargazing and nature tours. 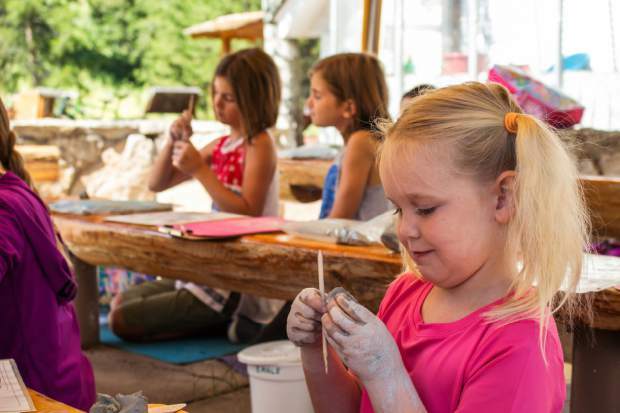 The Vail Nature Center has something for all ages. Location: 601 Vail Valley Drive, Vail, near the bus route and a short walk east from Vail Village. More information: Visit http://www.walking mountains.org. Cost: Free, with donations accepted. 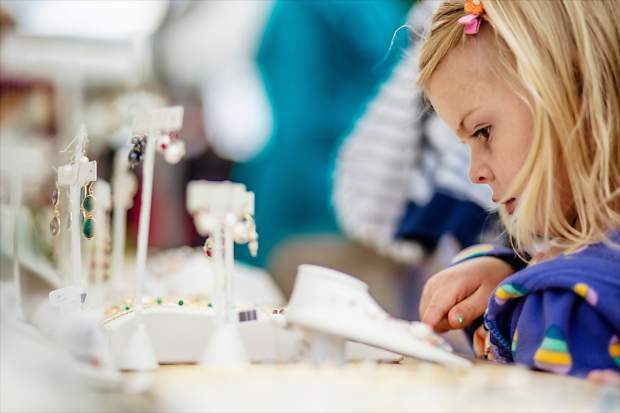 Held every Sunday throughout the summer, the Vail Farmers’ Market & Art Show is a great place for kids to explore. 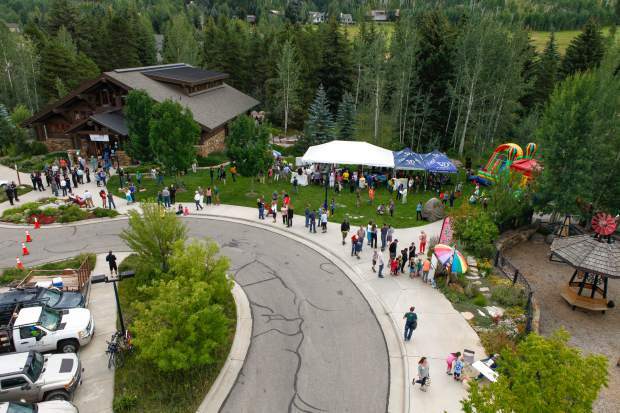 With more than 40 food vendors, free samples, live music from Vail Jazz as well as a mechanical bull and bouncy castle, the market takes place from 10 a.m. to 3:30 p.m. each Sunday, rain or shine. Fun food options include potatoes on a stick, ice cream, turkey legs and other culinary treats for kids, as well as adults. Location: Market tents fill Vail Village, with Solaris Plaza as a middle area. More information: Visit http://www.vail farmersmarket.com. 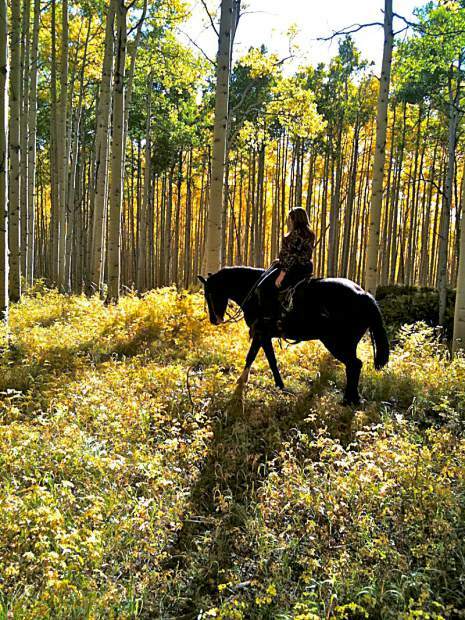 Enjoy horseback rides through the Rocky Mountains, goat yoga and more with Vail Stables. Excursions are mostly for ages 8 and older and are a mix of adventure, relaxation and peacefulness including wildlife sightings, singing birds and more. 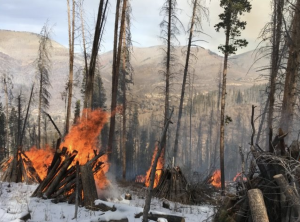 Location: 915 Spraddle Creek Road, 1 mile northwest of Vail. More information: Visit http://www.vail stables.com or call 855-743-3824. Cost: $85 for an hour and a half ride, or $125 for the adult-only ride. Located inside the Lionshead Village parking structure, the Zeke M. Pierce Skatepark is a permanent skate park in the unused area between the north and south sides of the parking structure. The $1.7 million skate park was designed and constructed by California Skateparks and officially opened in 2016 honoring Zeke M. Pierce, who lost his life in a mountain bike accident. The park is managed by the Vail Recreation District and includes features for all ages and abilities. Helmets are required, and the skate park is open daily from dawn to 11 p.m. Location: Lionshead Village parking structure, Vail. The Vail Square Ice Rink is open daily during the winter season, located in Lionshead Village surrounded by shops, restaurants and the gondola; and so is the outdoor skating rink in Vail Village’s Solaris Plaza. For a larger indoor ice rink in Vail, the Dobson Ice Arena is open year-round and features public skating, private lessons, hockey and special events like concerts. Beaver Creek’s ice rink is open most of the year, located in the heart of the village. The Eagle Pool & Ice Rink features an indoor NHL-sized rink and outdoor pool. Location: Vail, Beaver Creek and Eagle. 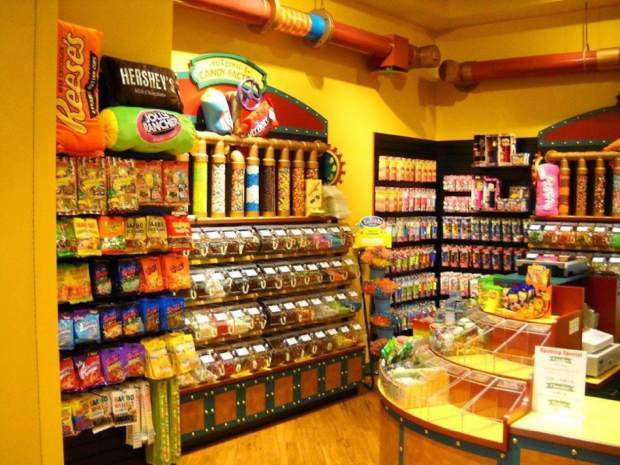 The first Fuzziwig’s Candy Factory opened in Colorado in 1995 and in 2010, the candy shop opened a location in Vail Village, appropriately next to the Children’s Fountain. For kids and big kids at heart, Fuzziwig’s features sweets from all colors of the rainbow, from classic hard candies and suckers to handmade chocolates and caramels. Location: 223 Gore Creek Dr., Vail; next to the Children’s Fountain in Vail Village. Cost: Depends on your sweet tooth. Vail Daily assistant editor Ross Leonhart can be reached at 970-748-2984 and rleonhart@vaildaily.com. 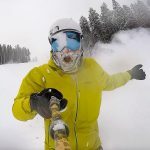 Follow him on Instagram at colorado_livin_on_the_hill.